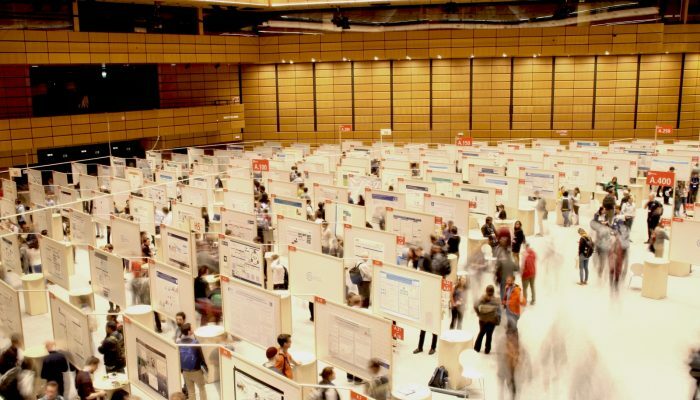 The EGU is committed to promoting the participation of both early career scientists and established researchers from low and middle income countries who wish to present their work at the EGU General Assembly. 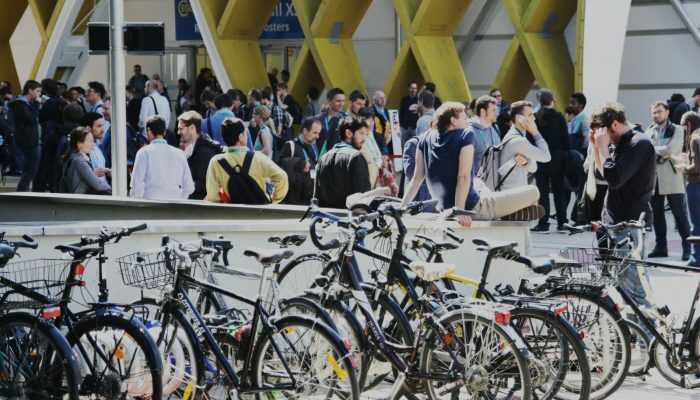 In order to encourage participation of scientists from both these groups, a limited amount of the overall budget of the EGU General Assembly is reserved to provide financial support to those who wish to attend the meeting. From 2005 to 2016, the total amount awarded grew from about €50k to €110k, with 248 awards being allocated to support attendance to the 2016 General Assembly, representing a 31% application success rate. For the 2017 General Assembly, the EGU has allocated €110k to financially support scientists who wish to attend the meeting. About 80-90% of the funds are reserved to assist early career scientists in attending the conference, whilst the remaining funds will be allocated to established scientists. 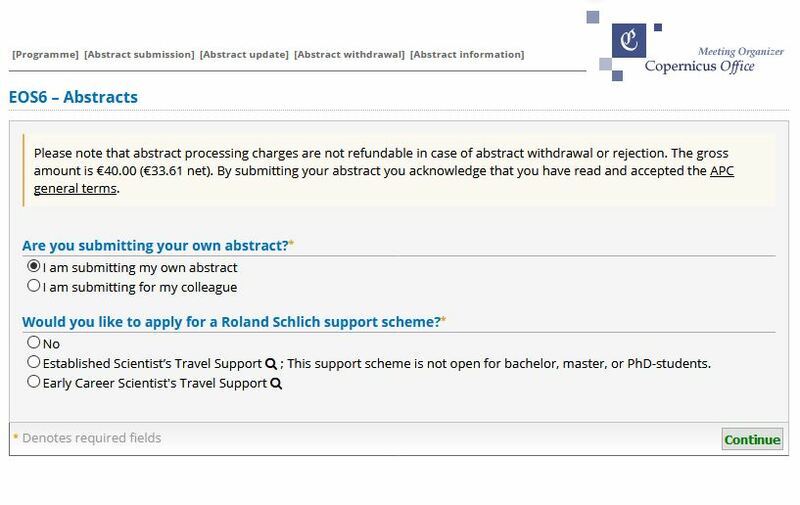 The EGU currently runs two different financial support schemes: Early Career Scientist’s Travel Support (ECSTS) and Established Scientist’s Travel Support (ESTS); you will be able to find more details about each of these awards on the Support & Distinction section on the EGU 2017 website. You will also find details on who is eligible for the awards on the website. Scientists who wish to apply for financial support should submit an abstract, on which they are first authors, by 1 December 2016. Late applications, or applications where the scientist is not the main author, will not be considered. The EGU Support Selection Committee will make its decision to support individual contributions by 22 December 2016. All applicants will be informed after the decision via email in late December or January. Only the granted amount mentioned in the financial support email will be paid out to the supported contact author. Please note that, as of 2016,a participant can receive a maximum of two ECSTS and two ESTS during their career. In other words, applicants who have received two travel supports in a category in the past are not eligible to apply for that category again. 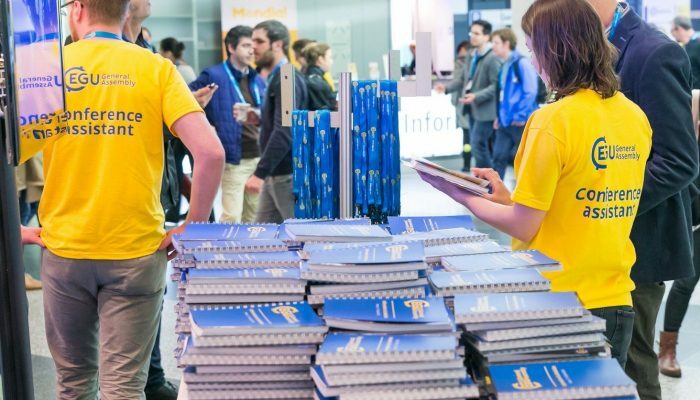 To submit the abstract of your oral or poster presentation, please enter the Call-For-Papers page on the EGU2017 website, select the part of the programme you would like to submit an abstract to, and study the respective session list. Each session shows the link to Abstract Submission that you should use. More information on how to submit an abstract is available from the EGU 2017 website. 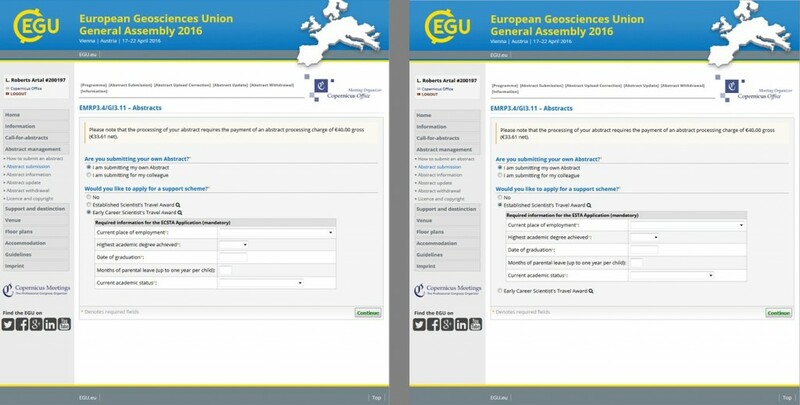 If you have any questions about applying for financial support for the 2017 General Assembly, please contact Laura Roberts (EGU Communications Officer). From 2005 to 2015, the total amount awarded grew from about €50k to €110k, with 270 awards being allocated to support attendance to the 2015 General Assembly, representing a 34% application success rate. For the 2016 General Assembly, the EGU has allocated €110k to financially support scientists who wish to attend the meeting. About 80-90% of the funds are reserved to assist early career scientists in attending the conference, whilst the remaining funds will be allocated to established scientists. Financial support includes a waiver of the registration fee and a refund of the Abstract Processing Charge (relating to the abstract for which support was requested). Additionally, the grant may include support for travel expenditures, at the discretion of the Support Selection Committee, to a maximum of €300. The EGU currently runs two different financial support schemes; you will be able to find more details about each of these awards on the Support & Distinction section on the EGU 2016 website. You will also find details on who is eligible for the awards on the website. Scientists who wish to apply for financial support should submit an abstract, on which they are first authors, by 1 December 2015. Late applications, or applications where the scientist is not the main author, will not be considered. The EGU Support Selection Committee will make its decision to support individual contributions by 23 December 2015. All applicants will be informed after the decision via email in late December or January. Only the granted amount mentioned in the financial support email will be paid out to the supported contact author. 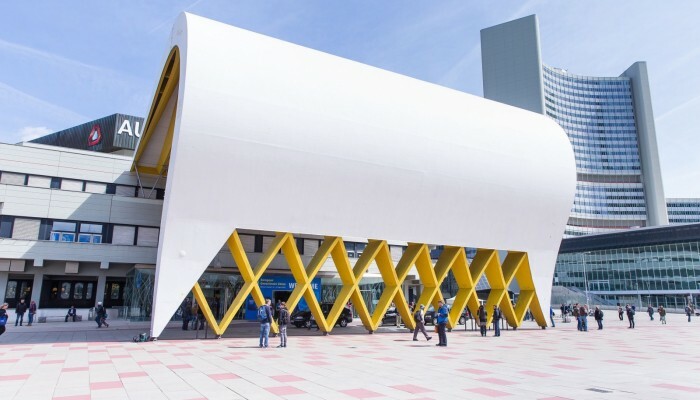 To submit the abstract of your oral or poster presentation, please enter the Call-For-Papers page on the EGU2016 website, select the part of the programme you would like to submit an abstract to, and study the respective session list. 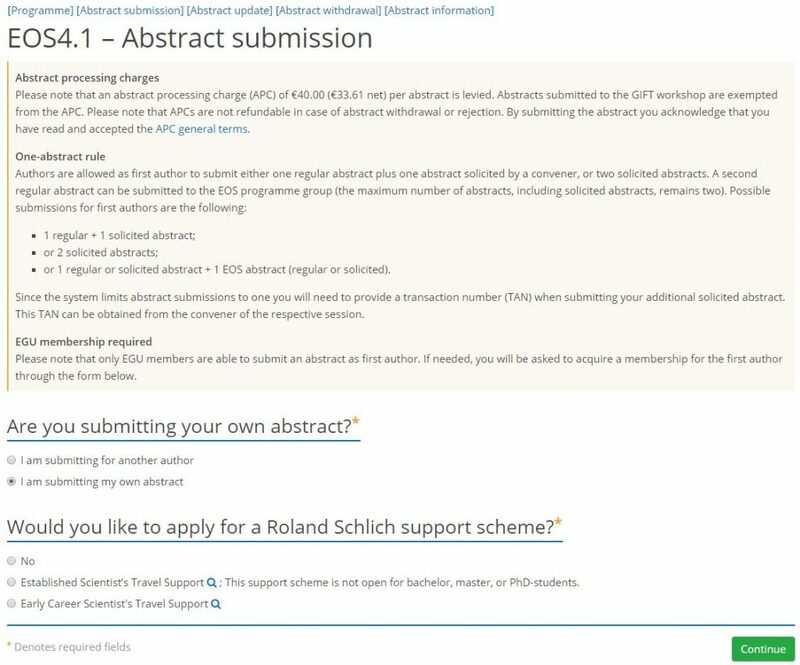 Each session shows the link to Abstract Submission that you should use. More information on how to submit an abstract is available from the EGU 2016 website. Applying for financial support is easier than ever! As soon as you make your choice of session you will be prompted to select whether you wish to apply for financial support. If you do, be sure you tick the appropriate box when submitting your abstract. Bear in mind that, even if you are applying for support, you will still need to pay the Abstract Processing Charge. 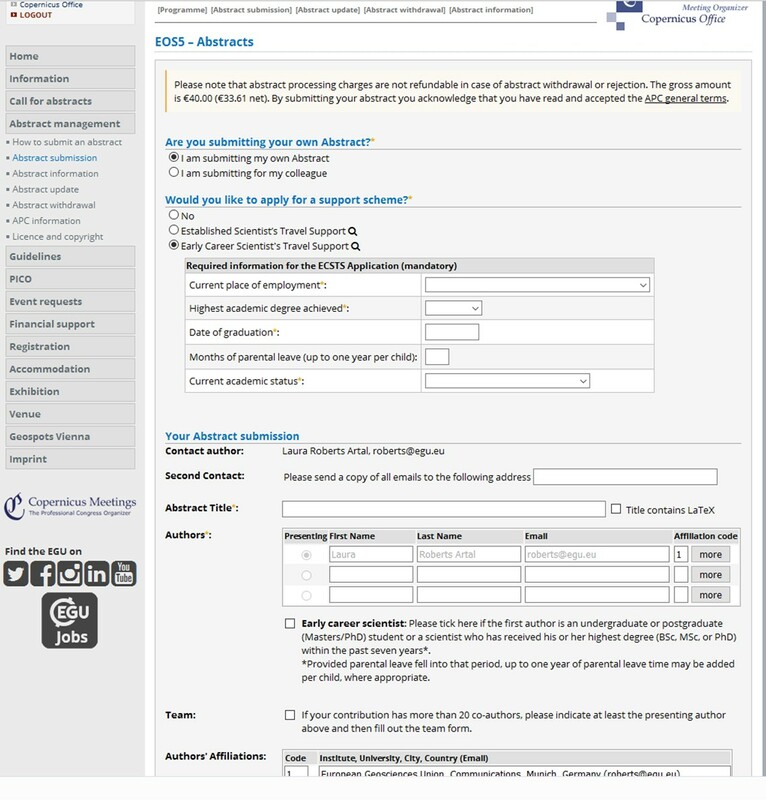 A screenshot of the first screen of the abstract submission process is shown below. 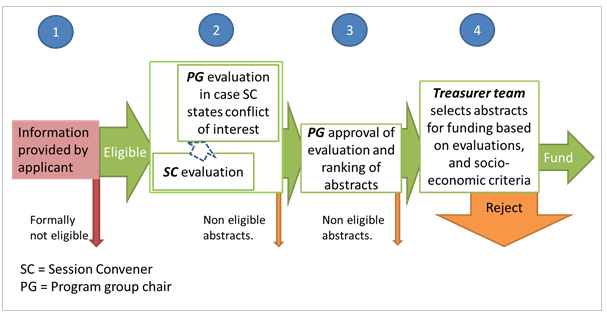 Schematic summary of the evaluation criteria. Next year’s financial-support awardees will be notified in late December or early January. If you have any questions about applying for financial support, please contact EGU communications Officer, Laura Roberts.